Eye Care Directory offers up-to-date information about the optical eyeglasses stores and eye doctors for your vision needs in the Christchurch of South Island. You may arrange an free eye exam, buy prescription eyeglasses, RX sunglasses or donate your old eyeglasses by using the contact information in the directory. In the Christchurch, optometrists can be found in the vicinity of a chain optical retail store, or in an independent optometrist's office. Optometrists are trained to address both vision refractive errors and eye health. Many optometrists sell high-end eyeglasses and contact lenses in their practices with the most professional possible services in addition to performing eye exams and writing prescriptions. Ophthalmologists are medical doctors (MD) in the eye care and vision health who perform eye exams, write prescription for eyeglasses, sunglasses and contact lenses, diagnose and treat eye diseases and carry out eye surgery. Ophthalmologist's responsibility is much beyond that of optometrist. Eye Care Directory aims to drive traffic to the eyeglasses stores and eye doctors for the wellbeing of our visitors. New optical stores, eye doctors and Optometrist may contact us for indexing in our eye care directory for free at service@firmoo.com, you may also contact us if you want us to remove your practice from our eyecare directory. Can stress cause your eyes to bleed? Yea, stress is really bad to the eyes, which can result in blurred vision, central serous choroidopathy, eye twitching as well as nystagmus. It is possible to cause bleeding eyes, because when one is under great pressure, he is in a poor health and is liable to catch a cold so that he may sneeze or cough, then the pressure changes can result in small subconjunctival hemorrhages. But usually bleeding eye is caused by an injury to the eye, such as being hit in the eye with an object or being involved in a fight. In addition, small forces of trauma can lead to spontaneous eye bleeding, such as a severe coughing fit, vomiting, a violent sneezing, lifting weights or eye rubbing. You also need to watch out the serious causes, including cancer, severe irritation and inflammation of the iris and malformations of blood vessels in the eye. What to do when i get a little bit cement in my eye? It is very dangerous for you to get the cement in your eyes which will make you feel painful at the eyes. You could use the clean water to wash it clearly. Then you could also use some eye drops to release the symptom to some degree after you wash the cement out clearly. You could use the warm compress to make the eyes feel comfortable. Why does my eye hurt when flying? It happens in some cases that some people would feel their eyes hurting when they are taking a plane. This is because that the barometric pressure inside the cabin of the plane is higher than that on the ground surface, thus making the insufficiency and low density of oxygen. Therefore, it is quite easy for people to feel their skin dry, their mouth parched and their tongue scorched. So are the eyes. The eyes need adequate amount of oxygen and water to keep themselves moist and maintain normal metabolism, and dehydration can lead to dry eyes, eye pain and so on. To reduce or avoid this kind of eye pain on the plane, you should firstly drink moderate amount of water. And if the eye still hurt, you can use some eye drops or artificial tears to moisten your eyes. And pay attention that you should not wear eye contacts when you are taking a plane, because eye contacts will aggravate the dry conditions in your eyes. How do you take the lenses out of oakley sunglasses? 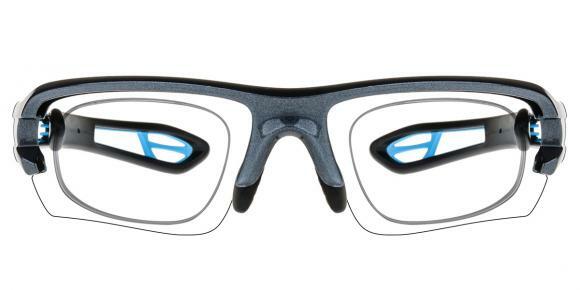 Oakley glasses has overturned the concept for traditional glasses, which integrates comfortability, applicability and artistry. The new arrivals have supplies with 5 pairs of lenses to change. You can also go to Oakley shops to order a prescription lens according to your situation. And of course, ask the assistant to help you with replace it. If you wanna take the lens out by yourselves, do as the following steps: 1. Place thumb on top of frame and index finger on the nose bridge; 2. Pull nose bridge towards one direction while push frame in the opposite direction; 3. Pop out the lens and remove it. What would i look like with hipster glasses? When you wear the hipster glasses and wear such kind of suits, you will look like a hipster which will look more stylish. More and more people like to wear in this way to show their free character. 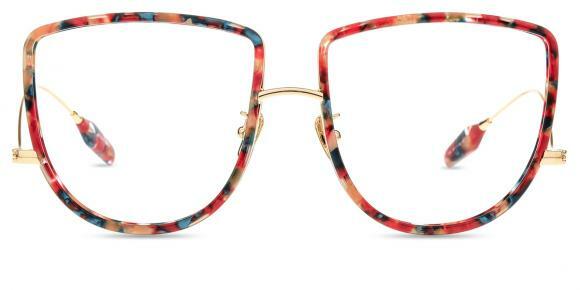 And the hipster glasses are so stylish these days, receiving great popularity among both men and female. Wearing such kind of clothes to match with hipster glasses will be so fashionable these days. Can glaucoma cause color blindness? Yes, there are many side effects of glaucoma, which depends on the various kinds of causes of glaucoma. Generally speaking, glaucoma is caused by the damage to the optic nerve of human beings' eyes and then gets worse over time, which is often associated with a buildup of pressure inside the eyes. Actually, glaucoma tends to be inherited and is the most frequently seen among the group of aged people. There are two main types of glaucoma, one is the open-angle glaucoma which is also called wide-angle glaucoma, the most common type of glaucoma. This kind of glaucoma possesses the characteristic that the structures of the eyes may appear normal while the fluid in the eye does not flow properly through the drain of the eye. And the other main type of glaucoma is the angle-closure glaucoma which is also called the acute or chronic angle-closure or narrow-angle glaucoma, a less common but able to cause a sudden buildup of pressure in the eye. People with this kind of glaucoma may suffer from a poor drainage because the angle between the iris and the cornea, where a drainage channel for the eye is located, will be too narrow. Besides, there are many other symptoms of glaucoma, such as seeing halos around lights, vision loss, and redness in the eye, eye that looks hazy which is particularly seen in infants, nausea or vomiting, pain in the eye, narrowing of vision or tunnel vision, and yes, blindness, when the condition is very serious. If people begin to have one of the above eye problems, they should go to the doctor's to seek immediate medical care as soon as possible in case that the condition gets worse. What are the symptoms of cataracts in old people? Old people who have cataracts may find their reading vision improve while their nearsightedness increase due to the swelling of the cataract. This is called "second sight". Other symptoms of cataeacts could be blurry or cloudy vision, double vision, difficult driving at night. Can dry eyes cause styes? External styes form on the outside of the lids and can be seen as small red bumps. Internal styes are infections of the meibomian sebaceous glands lining the inside of the eyelids. Redness, tenderness and burning in the eye are common symptoms of styes. And styes because of an oil grand at the base of the eyelash blocking. Dry eyes are related with styes, but not the directly reason to cause it. The common symptoms of dry eyes are dryness, burning and a sandy-gritty eye irritation that gets worse as the day goes on. Other symptoms are pain, redness, a pulling sensation, and pressure behind the eye. Many eye problems are associated with dry eyes, such as red eyes, pink eyes, strain eyes, even glaucoma. So when you feel your eyes dryness severe, please go to see a doctor as soon as possible. Plus, eating too much fresh fruits and drink some milk with warm water to control your condition and take vitamin supplements. Does low blood pressure cause eye problems? It is not ok for you to get low blood pressure which may cause some eye problems for you. Your blurry vision may be caused by the low blood pressure. Your whole body immune system will get declined. You'd better use some eye drops to release the symptom of the eyes. Then you could have the good rest for the eyes.